Piano Creatures take you to an exciting world of music, stories and drawings, which help learning to play the piano and understanding instrumental music a fascinating, imaginative and merry experience. Piano music book “Piano Creatures. Tiny Paws. Parts 1 and 2” is for teaching the youngest learners, aged 5-6 years. , the student will learn about easier rhythms, musical terminology and primary playing techniques. Every piece also has the teacher’s part, which helps to transform a simple composition into an inspiring musical act. In addition, there are recordings for listening and playing along to the same music. Crosswords and stimulating tasks help you check theoretical knowledge. Also, students are encouraged and taught how to write their own music. The second part introduces the treble and bass clef. Having covered the material, the student can read sheet music, can analyse and compose it themselves. The piano music book has colourful illustrations and, as a bonus, recordings of all pieces for listening and playing along. Compilations of piano pieces called “Piano Pieces for the Cheerful Mood“, “Piano Creatures. Piano Pieces 2“ and a collection of Christmas music “Piano Creatures. 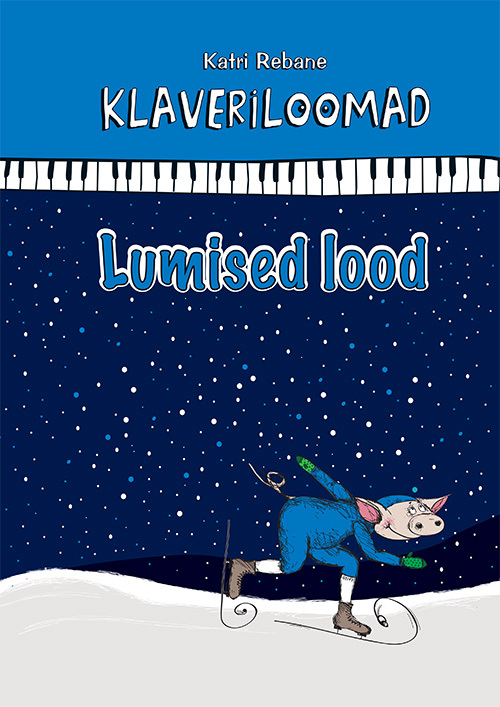 Snowy Stories” include piano music for beginners and intermediate as well as advanced piano players. 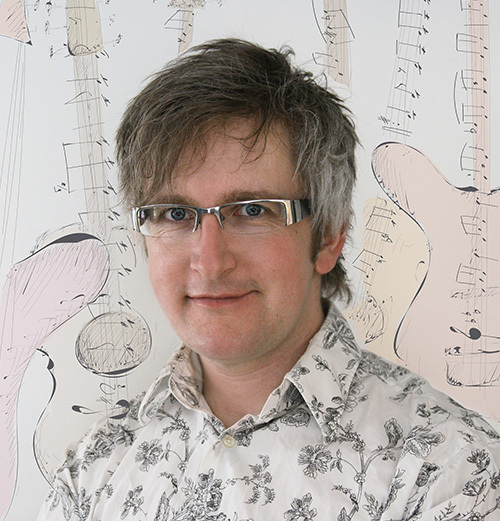 These pieces encourage a study process that is good- humoured and inspiring, and they let you master necessary techniques, develop musical expression and fantasy. Protagonists of these musical pieces are piano creatures, whose character and adventures are revealed either in the title or in a short story linked to it. Moreover, all creatures have come to life in colourful illustrations, which trigger your fantasy when interpreting the music and apprehending character. ers a good ensemble work experience. 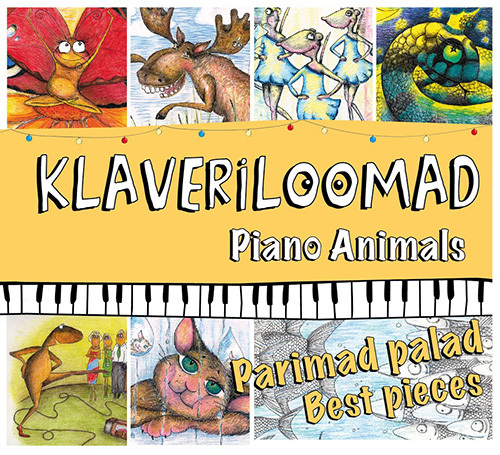 Piano Creatures concerts are frequently performed at schools,kindergartens and concert halls. 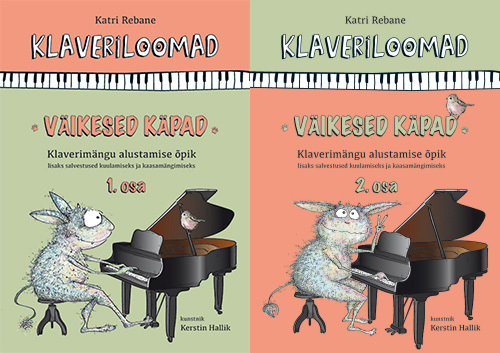 Katri Rebane (b.1972), whose compilations of piano pieces have gained immense popularity amongst Estonian piano students and teachers, has, next to composing music, also been teaching children for 25 years. 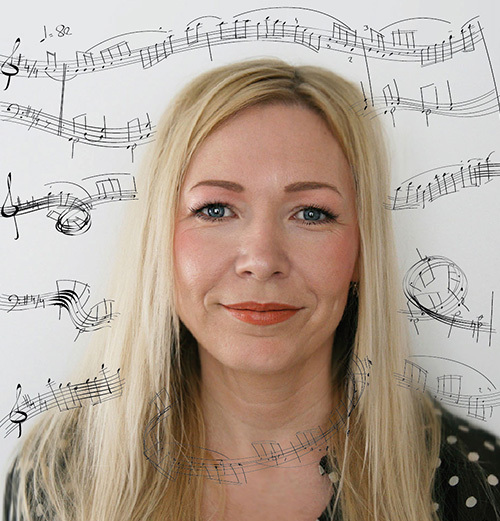 This experience has given her the expertise to recognise the wishes, expectations and technical potential of children, and, thus, enables her to consider all that when writing music. 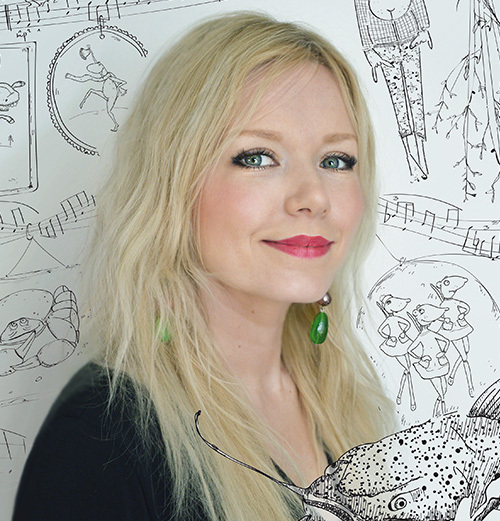 Katri Rebane has MA in Chamber Music and BA in Piano Studies (Estonian Academy of Music and Theatre).